Process the rolled oats, bananas, almond milk, salt, and cinnamon (if using) in a food processor until you get a thick batter. Heat a frying pan over medium heat. For each pancake, add about 2 tablespoons of dough to the pan, spreading into a circle, and cook for approx. 2 min., or until golden brown. Turn with a spatula and cook on the other side for approx. 2 min. 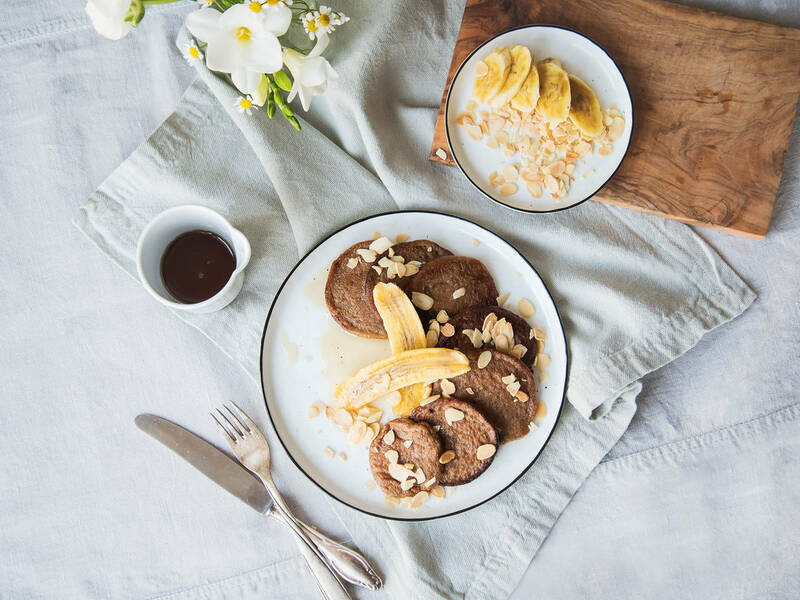 Serve warm with maple syrup, top with sliced bananas and toasted sliced almonds. Enjoy!